The sturdy red box, shrink wrapped for extra security/freshness, felt heavy when I picked it up and ripped it open - inside I was greeted with eight bags of sweets, in those little half paper/half plastic bags that made me feel SO nostalgic for my childhood summers spent at play scheme with a quid in my pocket for sweets from the tuck shop each afternoon. 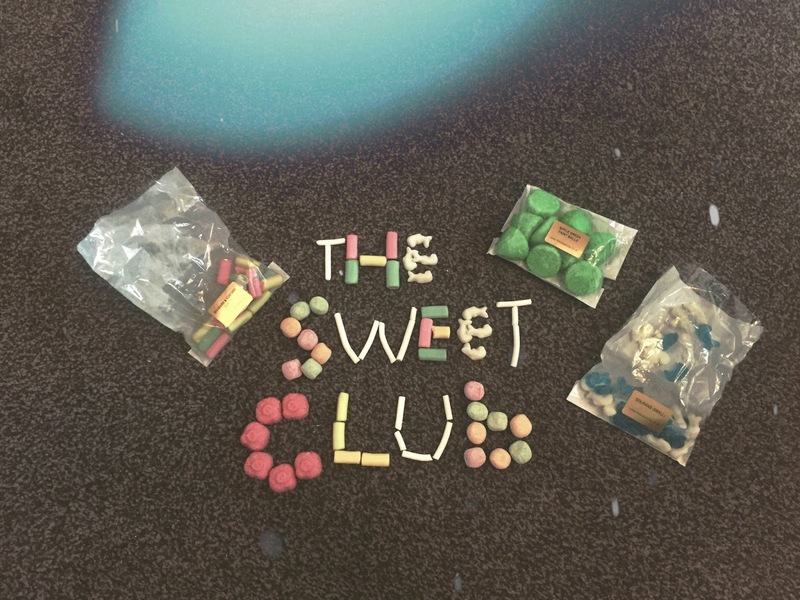 Anyway, you can choose which sweets you want in your box, or choose one of the ready-made selections which come in variations such as sour, sugar-free and best sellers. As I was getting mine for review purposes, I let the team know what sort of sweets I like but pretty much left it up to them, and I was pleasantly surprised with what they chose for me. 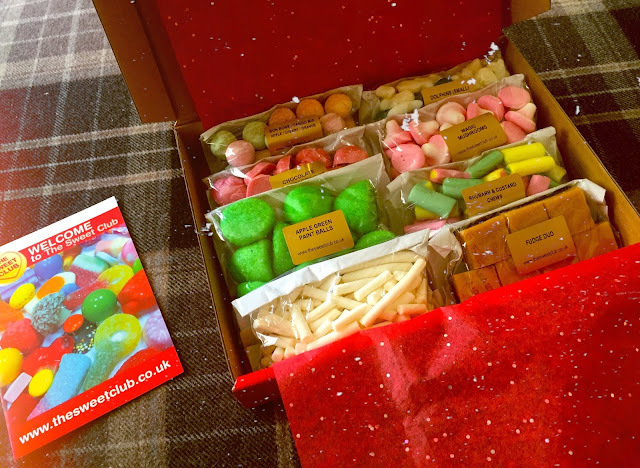 My box contained magic mushrooms, apple green paintballs, tango bon bons, gummy dolphins, chocolate strawberry pigs, duo fudge, candy sticks and my favourite sweets in the whole world ever, rhubarb and custard chews. You get a really decent amount of each sweet (around 100g of each type, I think) and you can change your selection with every box. You can get all sorts of stuff, from American candy to lollipops to popcorn, and I think it's just such a nice treat. I also like that there's no commitment with these boxes, and you can cancel at any time; the boxes are £11.95 monthly, and £10.95 if you're getting one every fortnight - and you can use the code katysblog20 for a whole 20% off. You're SO welcome. If you've got a sweet tooth then this is definitely a good subscription box for you - and even if, like me, you haven't got that much of a sweet tooth it's still great, because you could probably make the sweets last all month 'til the next box comes! What's your favourite subscription box?